Gone are the days of watching entertainment on a regular TV. Today’s generation demands the extraordinary, feeling satisfied only when the small screen experience matches the visual experience of a big screen. Now you too can have your own big screen experience from the comfort of your home. Aries Interiors & Architects, the name behind Ariesplex, India's first dual widescreen 4K theatre screen in Trivandrum, now introduces its revolutionary theatre technology for domestic consumers with its specialist Homeplex service. 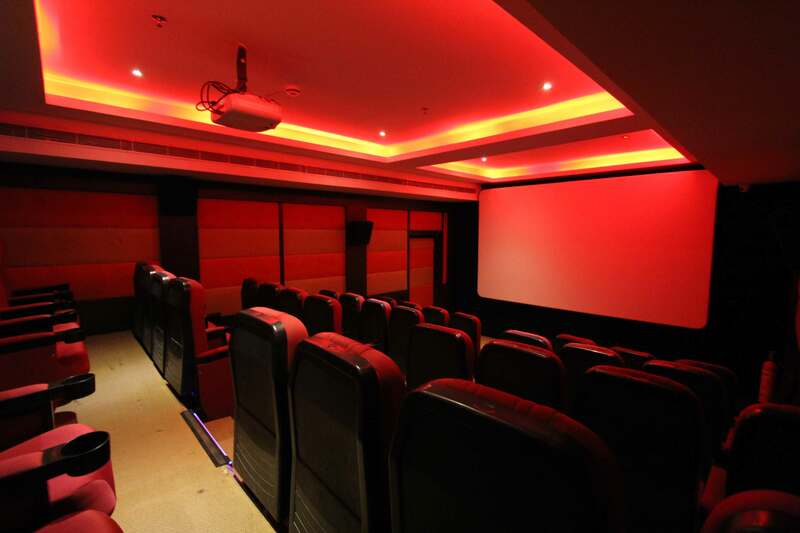 Designed and installed by our team of home theatre experts comprising architects, interior designers and engineers, the Homeplex is ideal for homes, offices, clubs and professional institutions. The state-of-the-art Homeplex can be set up within three weeks. 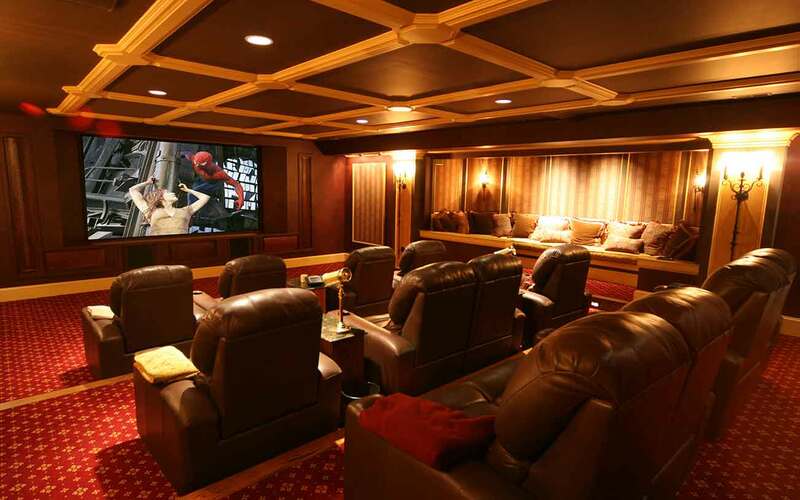 Transform your private lounge into a movie theatre with minimum space requirement starting from 150 sq.ft. depending on the number of seats required. All our Homeplex designs come equipped with 4k picture quality, 3D projection facility, Dolby ATMOS Surround Sound, carpeted acoustics and the plushest of Belgian cushioned recliner couches. Perfect to watch movies, sports, educational videos and much more! The Homeplex will also be your perfect companion for on-demand live streaming of worldwide theatrical releases in the near future, as cinema makers explore the potential of private premiere screenings. The Homeplex finds further applications for commercial purposes in private & government organizations, tourist sites and clubs, as a perfect platform for product demos, corporate meetings, training sessions, promotional video streaming and for tuition and other learning purposes. User-friendly control systems, services and support. Dolby Surround and Dolby ATMOS sound systems.